Heat pumps are an extremely efficient, electric powered hot water system. The system works very much like an air conditioner, whereby it extracts heat from the air and then uses it to heat the water tank. 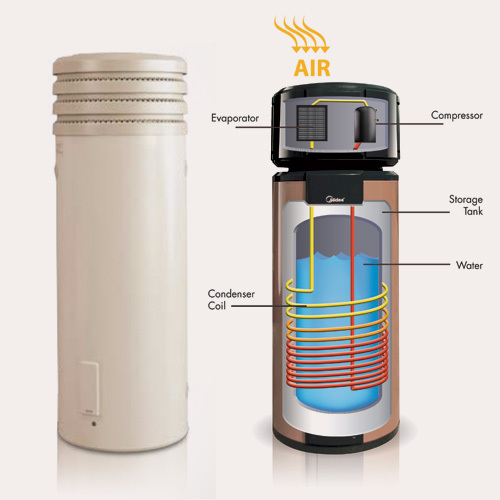 They are normally an integrated unit, with both the compressor and the tank being contained within one system. Heat pumps work better in warmer climates. However, they do have booster options available for when the climate is cold or when consumption levels are up.